LUFCTALK • View topic - What's odd about this picture ? What's odd about this picture ? This photograph is from today's Guardian in a feature called The Knowledge, a column in which readers answer questions about the game, including odd facts and queries as well as records of all kinds. This particular feature was included because Old Trafford held relatively few cup semi's down the years. The reason given was because the capacity of the ground was only 40,000 till 1996, thus limiting the number of tickets available, affecting commercial revenue and the fan experience. Anyway .. forget all that. One thing struck me about the picture. Can you guess what it is ?? Re: What's odd about this picture ? There's light at the end of the tunnel. I'm assuming we are wearing red stockings so no clash of colour as Everton would be wearing blue. NW is the closest to what I was wondering/getting at. 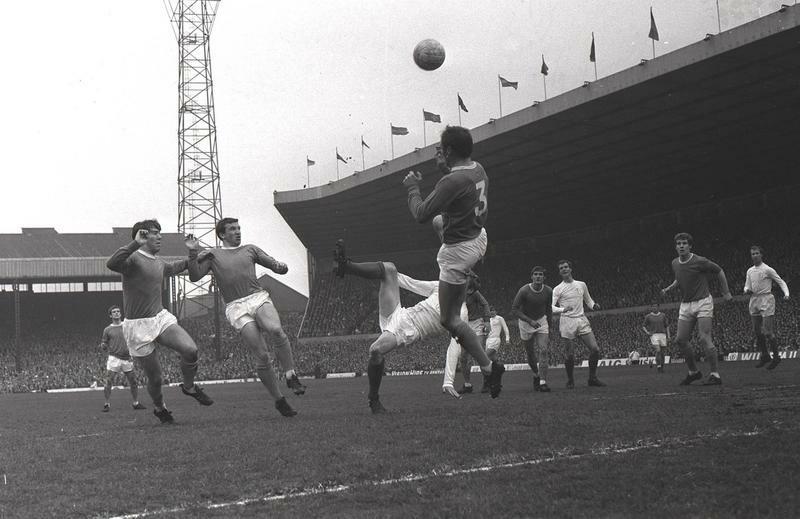 I think that because it's a neutral venue for the semi and neither team is at home added to the fact that both teams wore WHITE socks in their home strips at the time, they've both agreed to change : Everton to blue and us to - presumably - red. I much prefer the simplicity of the rules regarding kits back then. The sock thing is obvious because the lino couldn't see who put the ball out for a throw in frenetic action close to the touchline otherwise, but the whole shorts changing because they're both white is ludicrous, ditto stripes. If Sunderland played WBA in those days, both would wear their normal kit : white is predominant for West Brom, with dark blue the secondary colour, while for Sunderland it's the least visible element after red and black so why change ? I know it's all commercial - selling kits to the overseas market and pushing the brand envelope and all that - but that only brings us back to the first point about OT in the original query. Nothing's really changed : it's still all about money, just different amounts and ways of making it ..
That '40,000 capacity' has to be a typo, no? Even with drastic segregation in place, OT was in 60k + capacity I would've thunk. Another Northern Soul wrote: That '40,000 capacity' has to be a typo, no? Even with drastic segregation in place, OT was in 60k + capacity I would've thunk. Think that is correct Man utd average home attendance for the 67/68 season was 57,000.